Everyone needs a hobby. 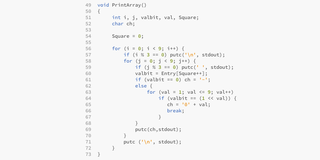 For Lee Hsien Loon, that happens to be writing C++ Sudoku solvers and publishing them on the Internet. Lee Hsien Loong also happens to be the Prime Minister of Singapore.